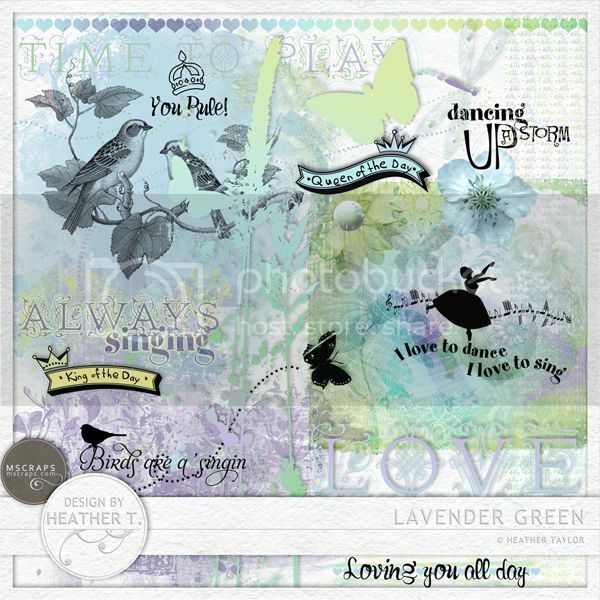 A fun kit filled with all kinds of different stuff--light-hearted and pretty, you'll find lots you can use this for. 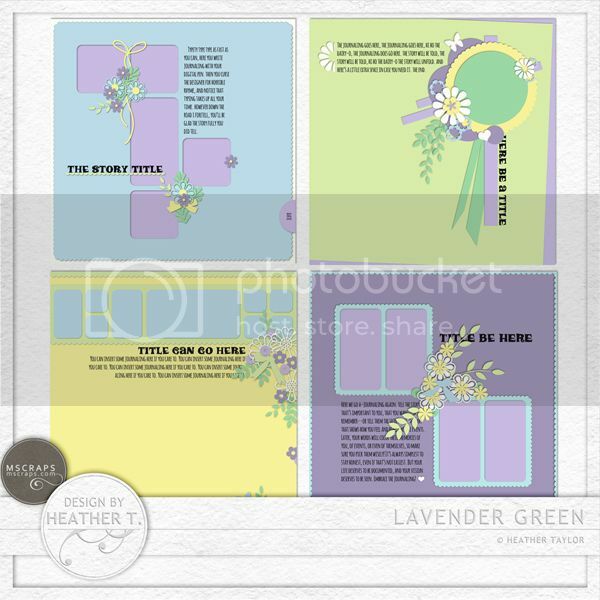 I was inspired by the old folk song Lavender Green, Lavender Blue -- especially for the colors! 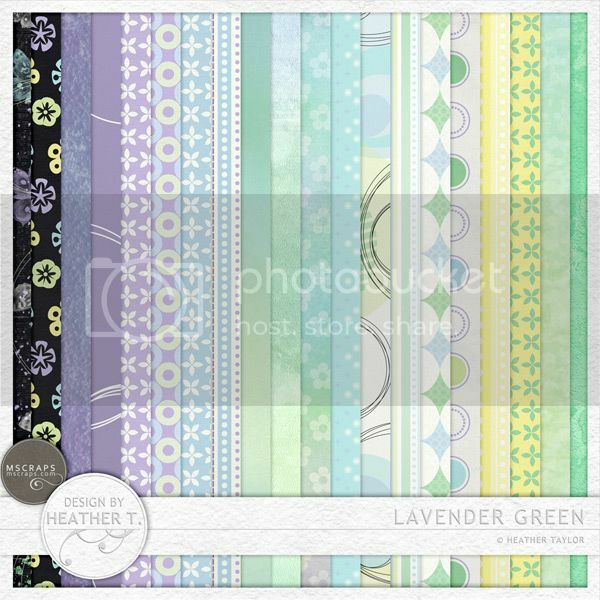 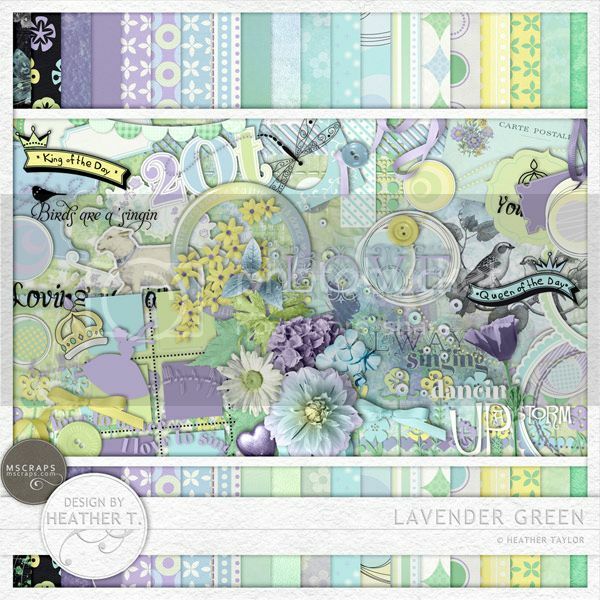 You can find Lavender Green at MScraps for 20% off through Sunday.